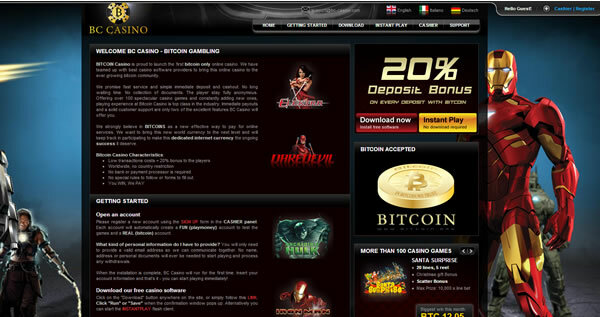 Wow I can’t believe my first bitcoin casino review for my new website has ran over 6000 words. I had to add a series of menu’s and internal anchor links so you can navigate your way through it. I became so long winded that I even had to go back through and cut out hundreds of words. I talked so much about it because it’s freaking awesome! The BC-Casino is the most modern, state of the art Bitcoin casino I’ve played at to date. It’s powered by playtech and features the Marvel comic book heros on many of their slot games like the Incredible hulk slot game. All in all, the casino rocks. Check out the review linked above and tell me what you think!